“SENSUAL, SECRETIVE, OBSESSIVE: the story of Kate Bush: Recording Artist is a rich and dramatic quest for control and possession of her art – one which her raft of newly remastered albums underlines with an unmistakeably personal touch. 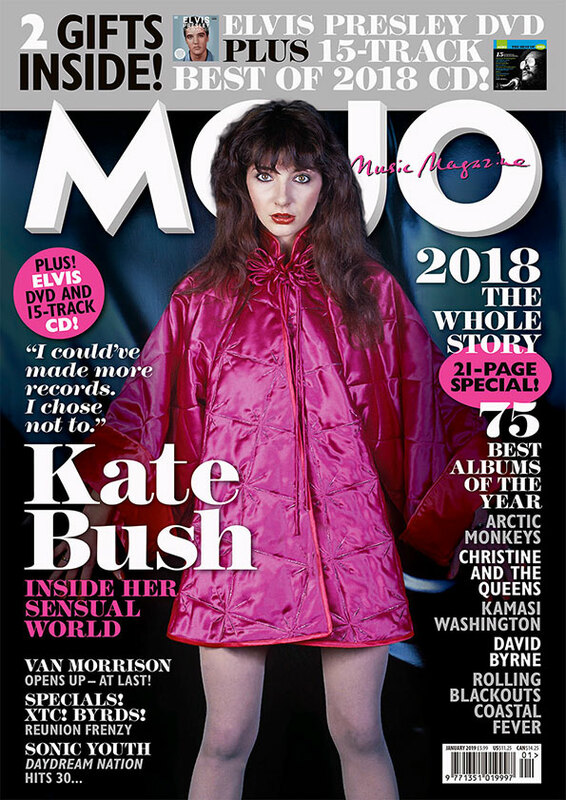 In new material from interviews with Tom Doyle, Bush relives the highs and lows of her hunt for perfection in the latest MOJO magazine, in UK shops from Tuesday, November 20, and available to buy online now. “It would’ve been nice if some of the stuff I did wasn’t always so hard,” she told Doyle as she discussed all her greatest moments in depth. Above all, it’s the story of Bush’s increasingly specific sonic visions and the initiative she took in bringing them to life. Thanked by Leon Ramakers of MOJO Concerts I met Kate Bush in 1979 in Carré Amsterdam. I hope Kate and Leon remember it still.